It is our Student Spotlight season and we're profiling Degree Shows from around the country, to showcase the emerging talent of 2015. 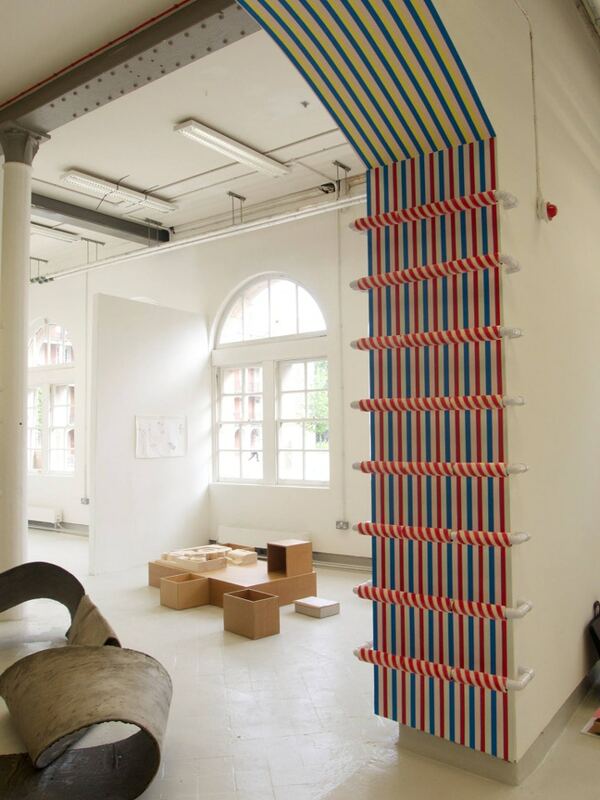 Today we're taking a look at some of the work from Chelsea College of Art, London. Chelsea College of Art & Design’s Grade ll listed Pimlico campus is sandwiched between the River Thames and Tate Britain. Previously the Royal Army Medical College, the tuck-away Morgue project space is just one the many studios accommodating the BA fine art students degree show. Chelsea gives students a stimulating space and supportive atmosphere that allows them to explore their own creativity and break new artistic ground. My work is primarily rooted within an anthropological framework, intersected by Object-based theories that both engage with and challenge that structure. At present I am specifically dealing with the Object-based theories of the Speculative Realist school of thought. 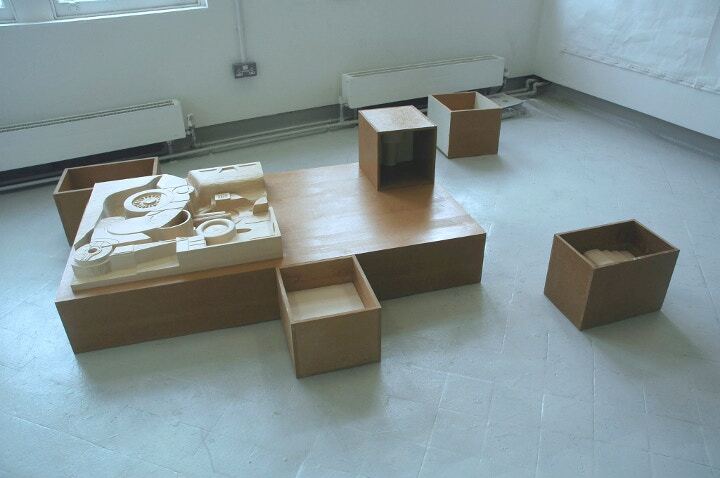 My work is an investigation of the multi-layered object in relation to its perceivable surface qualities and its withdrawn essence or real attributes, enacted in the form of abstract object-landscape carvings and fragmented image sculptures. The display of the work is crucial as it relates to my recent concern with a quasi future-mythology, likened to the exhibition and collection of anthropological objects, presented as artifacts after the fact and perceived in retrospect. The installation simulates anthropological museum curation, encasing the sculptures in fixed positions and forms. The practice of carving in my recent work, or the removal of matter to reveal the form, Is a metaphor for the relationship between the qualities of objects that Speculative Realism, in particular Object Oriented Ontology, lays out. The viewer’s role is to engage with the stand-alone fragmented image objects and object-landscape in a process of reflection and recognition of forms. In so doing, piecing together the elements of the work in the same way they would experience viewing a grouping of historical artifacts. I have recently been working on large scale graphite works, this in particular, the paper measuring 1.5m wide by 8m long. I am focussed on and interested in process and labour, and so this work has graphite powder rubbed into one side, with the other covered in horizontal lines of graphite until the whole surface was covered. I am interested in visible process within a work without being able to see the process taking place, and so being able to see signs of the process (like small tears in the papers edge) from the making of the work. Something T think that is particularly interesting about the work is the sense of weight that the graphite gives to the paper, it looks almost like metal and has a dense quality to the material. I plan to continue making process focussed work and also am interested in art based tutoring and teaching. 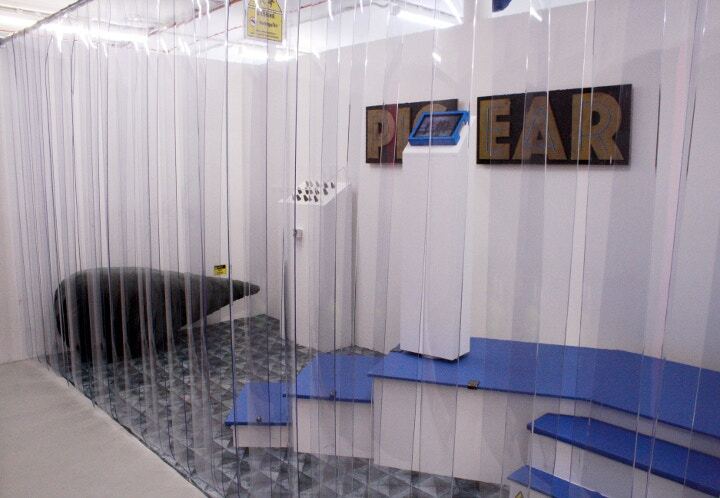 Materials used: Decorators tape, Electrical tape, Chip foam, foam, MDF, plastic piping, paint rollers. I explore the connections between aesthetics and use, using the ready-made in their raw state rather than for their intended purpose. For my degree show I chose to create an installation around an archway in our studio as I felt that these spaces are largely neglected, I wanted to draw attention to the contrast between the objects used to decorate and the space that they might decorate. A mismatch results, the space is elevated to be something, but it does not perform a job, despite perhaps appearing to do so. After Graduation I plan to undertake short courses, possibly in furniture making, with a view to applying to post graduate courses. It is an “ontography” or geography of objects in both real and virtual space. Consisting of a geodesic observatory style-dome with “mythologies” both inside and outside of the dome, the structure is a collaboration between the two of us. There are two projections on the two inner halves of the dome – the videos are respectively entitled iTouch and Alembic Maya V2.0. Both utilise 3D modeling and digitised voices, but are separate works that interact with each other in the spatial context. The dome is a vessel for our myths. It is partially a deliberate collaboration and partly a rhizomatic manifestation of our collective ideas. Authorship does not matter so much as the spaces in which our ideas meet and interact. It is a hugely ambitious project constructed over the course of a month. Due to our collaboration, we were able to take our ideas farther than we could have alone. We’ve been ambitious visually (using mirror styrene for the top part of the dome, building a huge structure, etc) and conceptually (the simultaneous combining and loss of authorship in favour of creating an un-hierarchical landscape of objects). We are slightly obsessed with gourds, eggplants and potatoes. PIG EAR is a concept design store selling products online at www.pig-ear.co.uk, that are associated with hostile and defensive architecture, but redisplayed and reinvented as interior design products for the domestic home. The central feature of the installation is the commercial for the online store that is playing atop the rotating lectern/plinth. I play with my own perceived imbalances of value and ownership by creating surreal replications out of the peculiarity of our reality. By imitating forms, signs and systems that are part of our experience of daily life, I try to find a space of slippage that confuses, yet reinforces, our reality of modern living. A pig ear is a common type of skate stop that is present along the edge of flat raised surfaces in public spaces to prevent skateboarders from damaging the surfaces and loitering in the area. I have been recognising a lot more of these mechanisms all over London in the past year, or so, and noticed how they are most common in areas where the facade of money and value is of the highest importance - outside bank headquarters, shop fronts, tourist attractions. From pound shops and shopping malls to viral internet-marketing campaigns and online shopping, my practice probes the experience of shopping, the structures and motifs of retail environments, and the muddling yet jarring realms of private and public space. My work is influenced by issues around taste, class and gentrification and our experience of the ongoing privatisation of space, and how we as a society are meant to, or are made to, navigate and behave in our urban environment. Check out the work in more detail at the Chelsea Degree Show Online Catalogue, or visit the exhibition until Saturday 27th June.